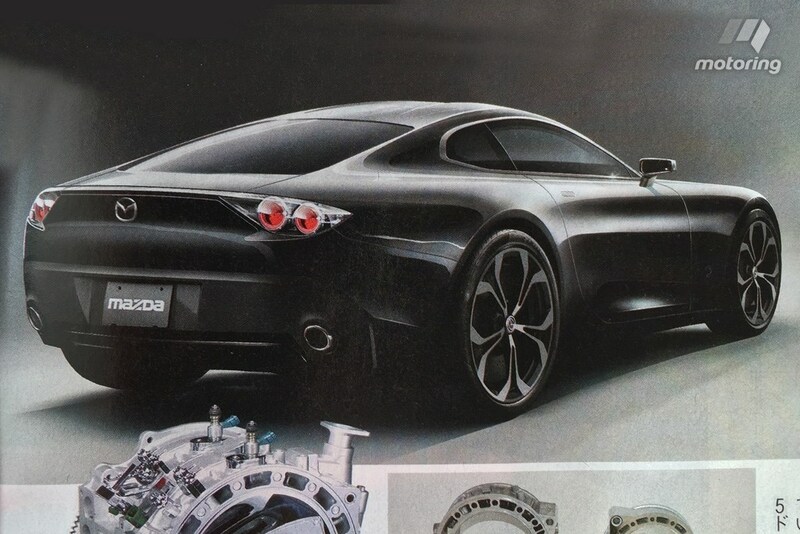 Earlier we published a news on Mazda teasing with their new coupe to be revealed in 2015 Tokyo Motor Show. Australian magazine Motoring has come across two photos of what seems to be a Japanese print magazine that’s not yet hit the newsstands. The images could just be renderings, but we believe they match the teaser too well for that to be the case. A good example of this would be the two dimples on the roof or the kink at the end of the side profile window. 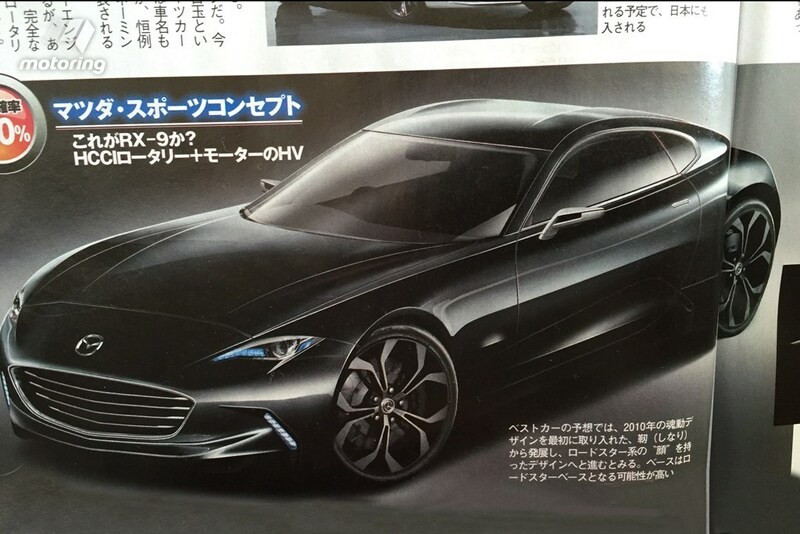 The real novelty of these photos is the front end design, which looks like a more mature version of the MX-5 Miata. The same source claims that a production version of the Tokyo-bound concept is lined up. It will supposedly feature the long-awaited 16X rotary engine, possibly with a turbo and/or hybrid technology to help it deliver around 450 horsepower. An electric turbocharger will supposedly be used to add torque at the lower end of the rev range, while a normal exhaust gas-fed turbine will give the sportscar such power that RX-8 owners can only dream of. The Japanese automaker will also incorporate homogeneous charge compression ignition (HCCI). It will also find its way into other Skyactiv engines in about two years. Honestly, we’d take that story with a bucket of salt, since it’s not easy to compete with the current roster of turbocharged sportscars using the dentist drill. We wouldn’t mind if the new RX sportscar just used a normal engine, especially since the recent roster of Mazdas we’ve tested have all been great. Sooner or later, Mazda will give us a sweet 2+2 sportscar. They never show a concept just for the fun of it. Let’s hope test prototypes emerge soon, so we can stop playing the guessing game and find out what kind of engine will be used.